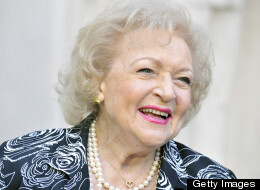 Betty White says she endorses Barack Obama. Like Betty favors Barack, you will "very much favor" this beverage at your next cocktail party. To serve, fill glasses with ice; add cut-up fruit and sangria. Top each glass with 2 oz. club soda. For cut-up fruit use sliced strawberries and blueberries for a patriotic look, or use oranges, peaches, halved grapes and whatever fruit you happen to have on hand. This recipe can be increased in any amount for large gatherings. The flavors are best if you make it 1 or 2 days in advance. THIS IS MY 100TH POST! THE 2012 ELECTION IS 176 DAYS AWAY!